This tiny mangrove island is surrounded by pristine sandy beaches and a lazy current that makes it possible to swim the perimeter of the island with little effort. The gentle shallow waters and picnic areas make it a perfect place for children and families alike. The island is a haven for birds, so bring your binoculars. Kayakers have a great time navigating the waters to and from the nearby islands. The waters are so clear that you just need a snorkeling mask to enjoy the full beauty that resides under the warm gentle waves. 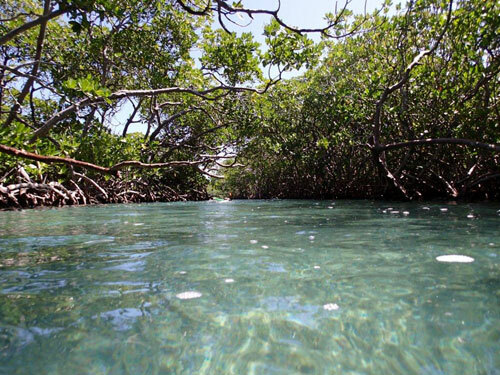 There are unlimited snorkeling options around the mangroves and beyond. Expect to see colorful living coral, varieties of tropical fish like yellow-tail red snapper, red starfish, and barracudas among many more. Our Gilligan Tour is run by our partner company, AQUA ADVENTURE, the region’s most recognized and professional water tour operator company. We depart from Copamarina Beach Resort on our private boat. 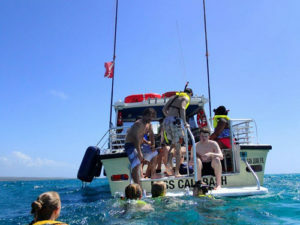 Our tour includes all snorkeling equipment, unlimited snacks, beverages, a light lunch, and terrific guides on board in addition to Vámonos’ hosts. 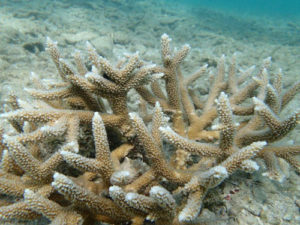 We’ll first discover a lovely coral reef on our way to the island as our first stop. 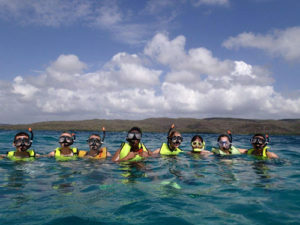 Then, we’ll park on a remote section of the island where we’ll snorkel around mangroves, beach hop, and sunbathe. The island is totally uninhabited even though it is heavily visited during holidays and on weekends. It offers great sights of the mainland’s mountains, coast, and of Guanica’s Dry Forest. For more information about our private Gilligan’s Island tour contact us.